My high school band concerts weren't quite this epic. I think we can all agree that the Lord of the Rings trilogy was epic, sprawling entertainment. And one of the best parts about the movies was the score, which on its own tells the tale of our band of heroes. Composer Howard Shore captured the simple joy of the Shire, the dangers the travelers faced on the journey and, above all else, the majesty of the quest they had undertaken. And if you're anything like me, you're humming the BUMMM bummm-ba BUMMM refrain right now. (If you're not, here's a link to the theme, complete with a slideshow from the movies.) Now, fans of Lord of the Rings and live music have plenty of opportunities to enjoy both together. The Lord of the Rings in Concert is a traveling company that features the Munich Symphony Orchestra playing the score while the movie screens for the audience, with the Pacific Chorale and the Phoenix Boys Choir providing the vocals. In October, the company will perform in a variety of locations along the West Coast, including San Diego, Las Vegas, Seattle and Sacramento. Click here for a complete list of dates, locations and ticket availability. Is it blasphemy to say that Gandalf could really use a nice deep conditioning treatment? In Chicago, the Chicago Symphony Orchestra will perform the score along with a screening of The Fellowship of the Ring on Aug. 19 at the Ravinia. You can purchase tickets here. Vocals will be performed by the Lakeside Singer, the Chicago Chorale and the Chicago Children's Choir. 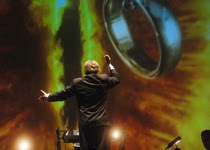 Next year, Lord of the Rings in Concert organizers plan to launch a live orchestra tour of The Two Towers, and the tour will conclude in 2013 with The Return of the King. Many thanks to Ray P. for the tip! 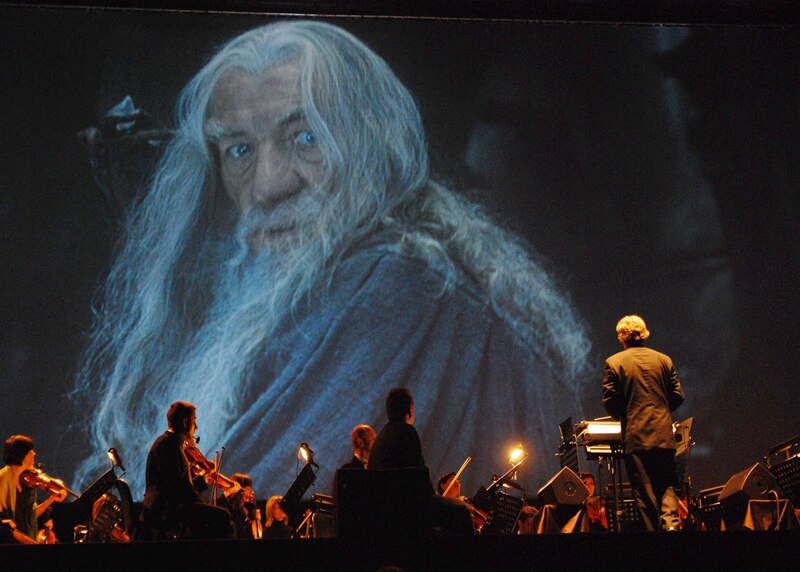 Photos courtesy of Lord of the Rings in Concert.